20 miles into the Rocky Raccoon 100 miler in February 2015. I am a 48 year old mom with two AMAZING young adults - Shelby, a senior at NSU, and is heading to LSU-NO for her Masters in Epidemiology, and Josh a sophomore at UL in Computer Science. 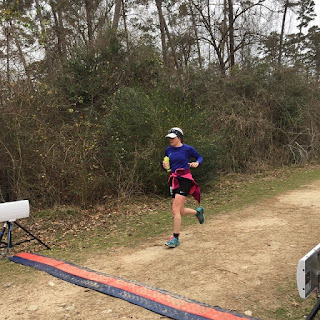 I started trail running in 2009, and since have run 27 trail ultra marathons, including 4 - 100 milers, and 1 - 127 miler. I really love running in the woods. :-) I will be running my next 100 miler in April 2019. When I began racing ultra marathons, I was blessed to cut my teeth on the sport under the guidance of Joe Prusaitis, the former owner and RD of Tejas Trails. Joe is to me the epitome of trail runners. He is tough, plain spoken, and tolerates no b.s. I fell in love with the TT races because Joe set the tone for every aspect of the race. You were well taken care of but not coddled. This is ultra running for goodness sake. My first 50 miler finish was met with a VERY light amount of clapping. I can't even call it applause. I loved that because that is what I was looking for. I tired of road marathons because of the noise and commotion. I don't need an announcer making a bunch of noise and loud music when I finish a long race. The finish line is almost a sacred spot, and the experience is such a personal one. The journey of the training and the race lead to different spots for each runner, and it was refreshing to be left to my own thoughts at the finish. Over the years, I have noticed things changing in the sport. With more and more road runners branching out and trying their hand at trail running, many RDs are trying to change the sport to accommodate the requests of the runners instead of encouraging the runners to embrace the sport in its simple, rugged beauty. I think this is cheating the runners. I think it is taking away some of the most transformative aspects of trail running: the self-sufficiency, the peace, the internal motivation. I am also seeing runners bring some of their bad road habits to the trails, and that is a shame. So my reason for starting Paix Running is as simple as it gets. I want to bring people back to the true nature of trail running. After seeing the evolution of some trail races out there and seeing how the runners are no longer being embraced as members of a big trail running family, but are treated as a revenue source, I know that I CAN DO IT BETTER. Don't get me wrong, there are a few RD's out there who have the right focus, and they have my admiration. 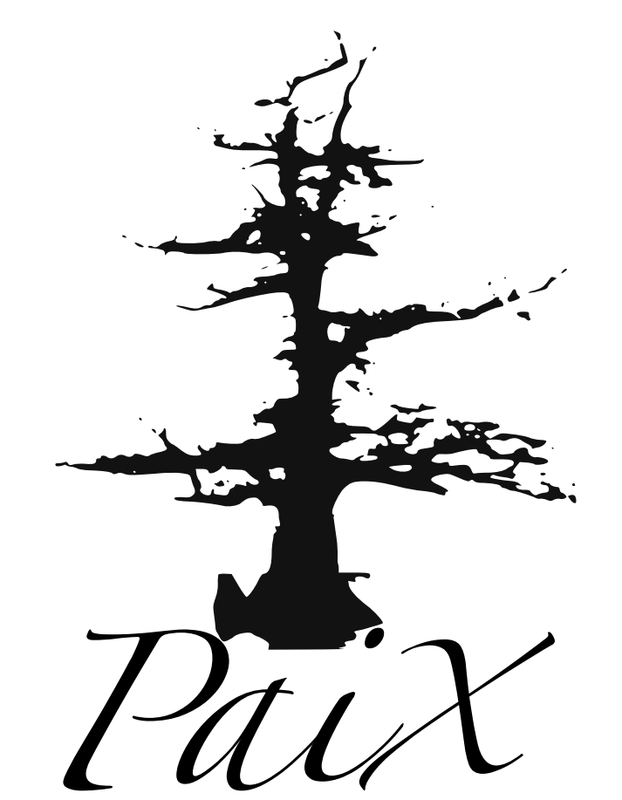 I am looking forward to making my mark in the sport and offering runners new and different trail experiences, and hopefully along the way, help them to embrace the Paix in their life.